To improve patient safety and health outcomes by providing high quality, evidence-based, experiential education in a safe innovative environment. Integrating interprofessional experiences into the beginning health professions curricula. Fostering simulation research to improve healthcare education, processes and outcomes. Providing innovative learning strategies to enhance patient care quality in accordance with the national Patient Safety goals. Enhancing statewide improvement in patient care and safety by collaborating with our external communities of interests to provide simulated experiences. The Centennial Nursing lab and the Margaret Lindsley Warden lab are adult health laboratories which feature patient stations equipped with Hill Rom® Beds and mannequins that can be programmed with custom scenarios to simulate vital signs, including pulse, blood pressure, heart sounds and lung sounds. The stations include computerized bedside charting with barcode scanning and fully functioning headwalls with suction and compressed air to simulate oxygen. Each lab is equipped with a Pyxis® electronic medication dispensing system to prepare students to use this technology for safely administering medication in future practice. Also included in the labs are state-of-the-art patient lift equipment that was donated by Guldman® to train students on safe patient handling. Mannequins available in these labs include the Laerdal Nursing Kelly™ and Nursing Anne™ and thirteen of which are SimPad® capable. This enable the faculty to program the mannequins to respond to the students actions. The Skyline Acute Skills lab is designed as an intensive care unit with seven Hill Rom® beds each having open access columns that house simulated medical gases and electrical outlets. Each patient station includes an Alaris™ IV pump with 2 channels. There are 4 stations with high fidelity mannequins and patient monitors and Laerdal SimView™ video recording capability, bedside charting and barcode medication scanning. Mannequins available in this lab are two Laerdal SimMan Essentials™, one SimMan 3G™, and one SimMan classic™ all of which are controlled via instructor laptops in a control room and two ALS mannequins™ and one Megacode Kelly™ that are SimPad® capable. The Summit Health Assessment lab is designed to function as patient exam areas and is used primarily for health assessment in various disciplines. There are eight exam tables with privacy curtains. Available to each table is an exam light and a laptop computer for bedside charting. There are also wall mounted otoscopes and ophthalmoscopes. The J.D. Elliot Pediatric and Maternal Nursing lab consists of four separate rooms with the capability for six patient stations and a nurse’s station. Included in these rooms are functioning headwalls and patient monitors and electronic health records. Mannequins available in this lab are two Laerdal SimMoms™, two Laerdal SimBabies™, a SimNewB™, SimJunior™ and NursingKid™ each of which can be controlled by instructor laptops in a separate control room and video recorded if so desired allowing live video feed available to any networked computer on campus. The McWhorter Inter-professional lab consists of four individual rooms that are equipped with a Laerdal SimView™ video recording system. Each room has functioning head walls that have compressed air and suction. In order to make the rooms more versatile, we have purchased removable murals that enable a room to resemble a pharmacy and a home health area. One room houses a Sim 3G mannequin where interprofessional students are able to participate in simulated patient care activities. In addition, this room has been used to train OT and PT students in patient transfers and changing conditions. The last room has a Laerdal SimPad® Nursing Kid used for various activities in all disciplines. The multi-media debriefing room was specifically designed for debriefing activities. The space consists of tables and chairs for students to be able to view ongoing simulations on two 65-inch monitors that are paired with computers that can stream simulations from the acute skills lab or the pediatric and maternal lab. In addition to the AV capabilities there are white boards that are used for interactive activities and group work. 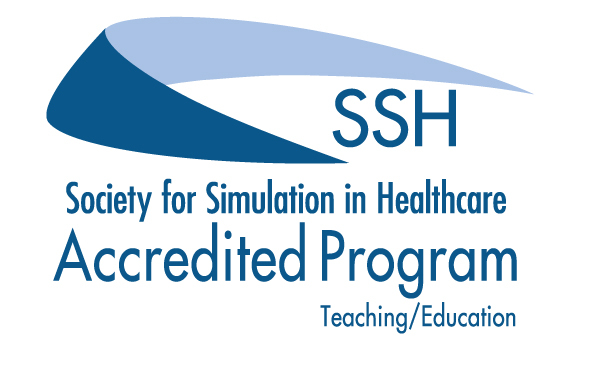 The Health Sciences Simulation Center at Belmont University is accredited by the Society for Simulation in Healthcare.